Many individuals and businesses are savvy enough to outsource their paper shredding to a trusted document destruction service. There are many economic and safety benefits to having a second party responsible for this task. Unfortunately, too few in the GTA realize that the same advantages could be had for electronic document disposal. Most don’t think twice about tossing an obsolete hard drive or computer after wiping these devices. To the average person, a deleted file isn’t accessible, but to a trained computer scientist who knows what to look for, it’s only a matter of time before they can retrieve anything you considered deleted. When you delete a file on a computer, the contents of the file remain on the hard drive for an indeterminate time. The space of the old file took up is declared “free”, but is not actually overwritten until it is needed to hold a new file. Some system files like SWAP.SYS and HIBERFIL.SYS may contain data used by programs even if you never save information to a file. These are permanent system files. Emails you send and receive may be stored on your hard drive. When you view a page using a web browser, it may be stored as well. If you view sensitive information like bank records or credit card information, account information may be saved to the hard drive. If you are a business user, confidential information you store on your computer like customer lists, credit card information, business plans, financial records, and employee records may be inadvertently released. This can cause you to run afoul of provincial and federal privacy laws. When the information of your old electronics hold is extremely valuable, the only effective way to ensure the data is unreadable is by physically destroying the device. Luckily, many shredding services like Absolute Destruction also provide electronic data destruction programs. Similar to typical document shredding, electronic data destruction occurs at your home or place of business, where a team of bonded professional will arrive with mobile trucks. These shredding trucks are constructed with strong blades that can incinerate any of your electronic devices, including old hard drives, computers, laptops, memory sticks, and CD ROMs. Once the process is complete these professionals will transport the waste to a secure recycling plant. The next time you think to place your personal or company electronics in the garbage, think of the consequences of your actions. If they wind up in the wrong hands, valuable information can be stolen. 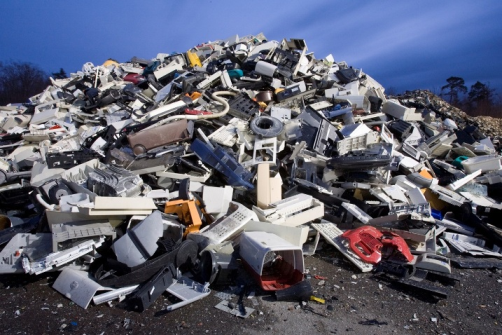 If they’re sent to a landfill (or sold as e-waste) they can sit for millions of year before they compose. A more secure and environmentally friendly alternative is to ensure your secured shredding services include your electronics.